I love the drama of the black and grey. I chose a Studio G stamp and a Papertrey Sentiment. I had trouble with trying to stamp 'randomly' (who, me?! ), so ended up stamping them in a row. I only masked the bottom of the images so that there's a bit of a scalloped effect at the top. I finished it off with two little gems - one clear and one grey. I was lucky enough to be able to get away last week with some friends. And we all worked on our 'Shirley' cards together. Here's a photo (more details to come later in the week). Happy Birthday, Shirley! Best wishes for a fun day and a wonderful year ahead! OMG, how cool. What an awesome group of gals. Can you see me turning green with envy?!?! Thanks so much for coming to Shirley's party, Ardyth. Oh my goodness! How fabulous that you got together with these gals! Awesome to the max - and I'm thrilled that we'll be seeing them back in blog-land with their cards! I so wish I could join you and this group some day; on my bucket list. Your card for Shirley: absolutely wonderful! Giggling at your struggle to stamp randomly! :D Love your cool card and jealous of your crafty getaway! Striking and beautiful birthday card for Shirley and it was so much fun to have the opportunity to make them all together, what a wonderful memory. Excellent's CAS card Ardyth. That is some group of ladies you were with and I'm sure it was a blast. Lovely birthday card! Oh, I bet you ladies had a blast! Can't wait to see the rest of the pics! Love the stamp you used on this pretty card for Shirley, Ardyth - what a fun gathering! Looks just as good in the photo as it did in real life! I'm still on Cloud 9 and likely won't come down for quite some time! 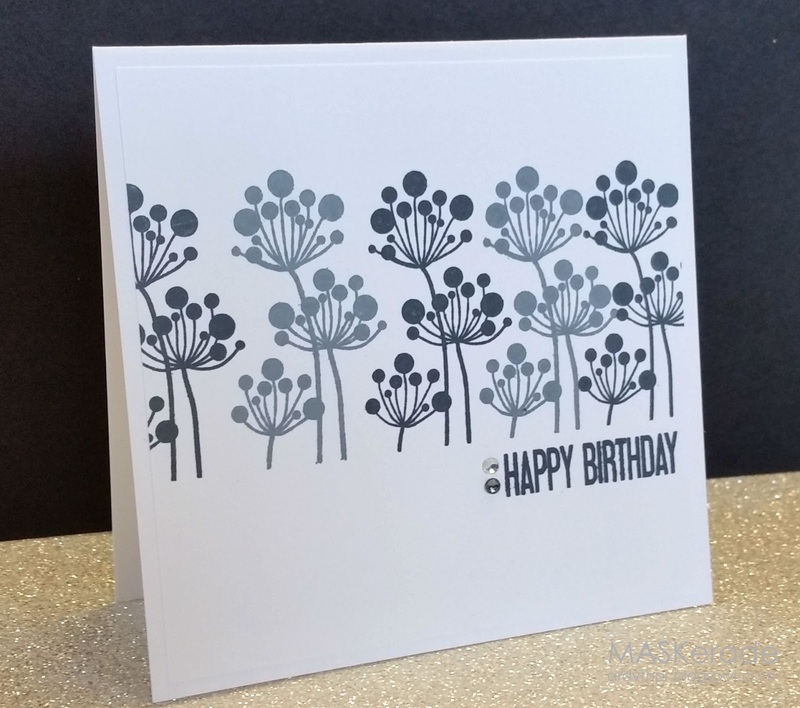 Stunning card--love the color scheme, and it is perfectly stamped (even if not random!) And, love the group photo. What fun you must have had. Well, I'm bowled over! I can't believe you all got together just to make cards for me ;) And I am soooo jealous! I want to hear all the deets about this fabulous get-together. Love your 'random' stamping :) Thanks so much for being part of my birthday celebrations!